Wow! It seems only yesterday that we had in our hands the very first Diary of a Wimpy Kid book. It became an instant favorite of yours truly and it left me wanting for more. I thought, by then, that I could not grow bored of this kind of book no matter how many.... and after a dozen releases I was still right and the feeling remain. The twelfth book of the Diary of a Wimpy Kid is on its way this year and following the release schedule of the previous books it will become available by November. The official title has been revealed to be simply as Diary of a Wimpy Kid: The Getaway and author Jeff Kinney has finally unveiled the blue-greenish cover! 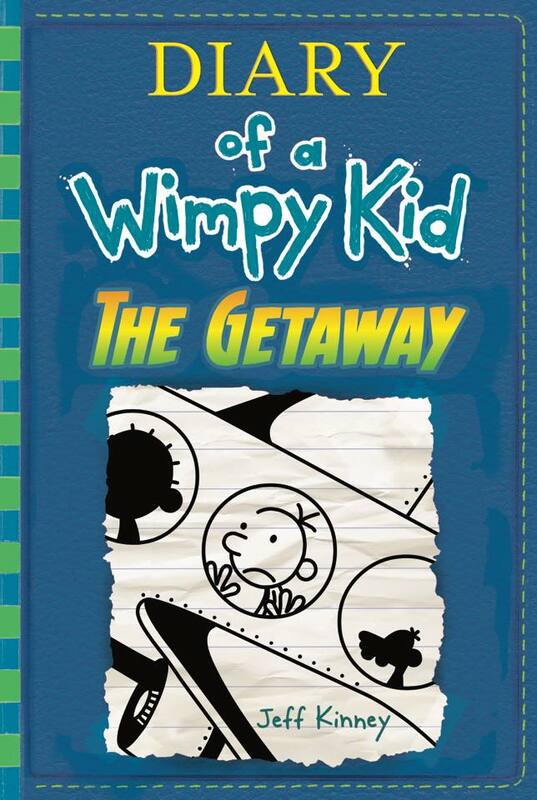 Check out the cover of Diary of a Wimpy Kid: The Getaway by Jeff Kinney. Jeff Kinney is a #1 New York Times bestselling author and six-time Nickelodeon Kids’ Choice Award winner for Favorite Book. Jeff has been named one of Time magazine’s 100 Most Influential People in the World. He is also the creator of Poptropica, which was named one of Time magazine’s 50 Best Websites. He spent his childhood in the Washington, D.C., area and moved to New England in 1995. Jeff lives with his wife and two sons in Plainville, Massachusetts, where they own a bookstore, An Unlikely Story.